The heaters for the industrial environment are usually power by an electrical source. The heaters manufactured by WATTCO™ all electric heaters with heater elements made out of specially designed electric heating rods. 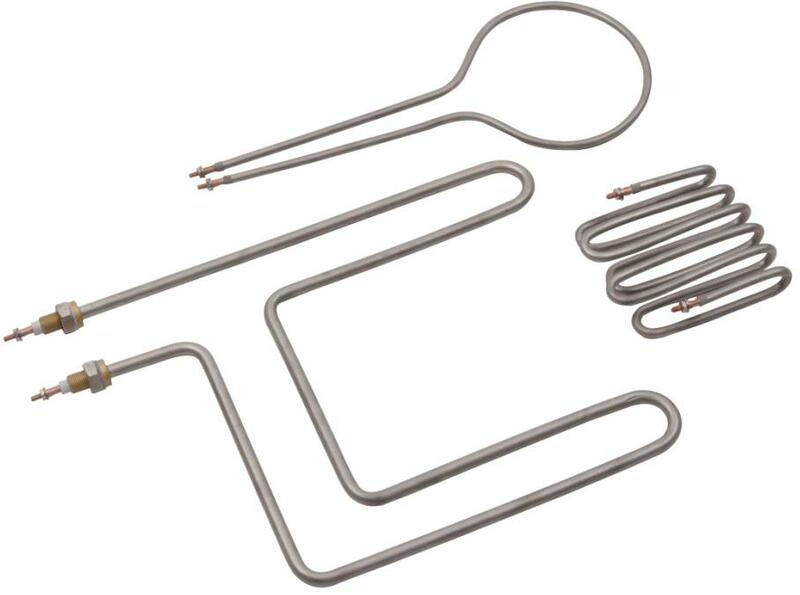 The typical heating elements are made of steel or stainless steel. They are used in heating water or similar liquid medium for a general purpose and usually corrosion free. Other corrosion resistant materials used are a composition of alloy such as copper or titanium. They are most resistant to high temperature and withstand the highly corrosive medium. Recently, specially manufactured alloy such as Inconel® and Incoloy® were introduced for more advanced application. The heating elements are a vital part of the industrial heater with various added benefits contingent to a particular application. The selection of heating elements depends largely on the type and nature of medium it is used for. In addition to the medium, the type of heaters it will be installed also has a bearing on what kind of alloy it must be constructed of. These elements are factory configured into any shape and size. They operate in an extremely high temperature as some heating elements are required to operate well above the process temperatures of 1,600⁰F.The material for heating elements vary depending on its application. The immersion heaters often require the material that are highly resistant to the breakdown in an extreme temperature and to stay immersed without giving in to an erosion factor. Having considered these conditions, stainless steel is an ideal choice for heating up water and other similar chemicals. The stainless steel is made of steel alloy with at least 10.5%, more likely 13% to 26%, of chromium content by mass. (Source: Wikipedia) The biggest advantage of stainless steel as compared to the regular carbon steel is obviously the resistance to oxidization. However, stainless steel is not full-proof to erosion by no means. There are certain external environments such as low oxygen, high salinity or poor circulation under which stainless steel becomes vulnerable to a passive film of chromium oxides. The use of exotic alloys further enhances the ability of the heating elements to withstand its inherent erosive nature. Copper, for example, does not react to water so that it could avoid the normal oxidization. However, it ultimately reacts to the atmospheric oxygen over the prolonged use and forms a layer of copper oxide as opposed to iron oxide. The use of titanium relieves much concern for corrosion as one of its properties is a strong corrosion-resistance. An added benefit of titanium is the nature of its feather-weight as compared to other metals. For extreme environments, WATTCO™ manufactures the heating elements made with super alloys such as Inconel® or Incoloy®. The super alloys are mostly nickel-based and excellent corrosion-free materials typically suitable for environments under particularly high pressure and kinetic energy. They are also fully resistant to an extreme temperature and specifically resistant to certain chemicals otherwise not sustainable with the general alloys of heating elements. The heating elements are vital to the manufacturing of industrial heaters and the proper choice of alloy under a specific condition is of the utmost importance to the designing of a suitable application for the particular industrial heaters. More information can be found at www.wattco.com.